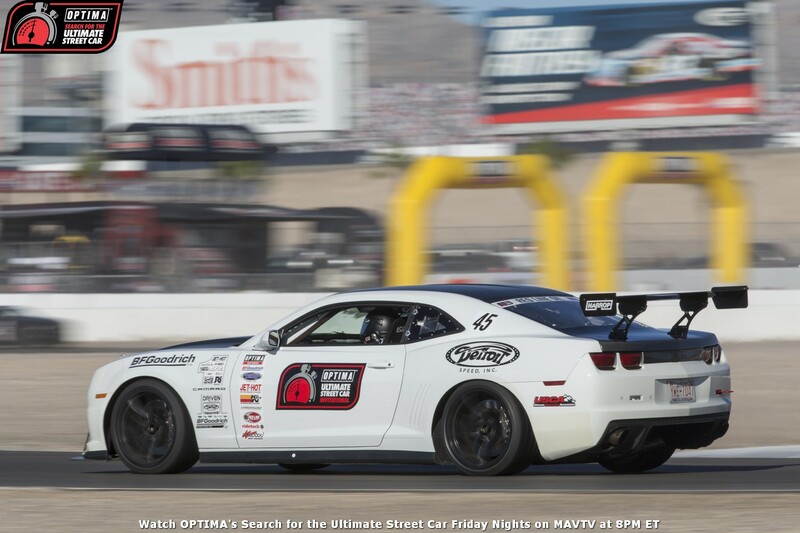 Ryan Mathews is no stranger to the OPTIMA Ultimate Street Car Invitational, presented by KN Filters, so with so much experience on his side, would 2014 be the year he climbed to the top? Before ever getting behind the wheel of a Detroit Speed Camaro, Mathews cut his racing teeth in dirt sprint cars and asphalt stock cars. 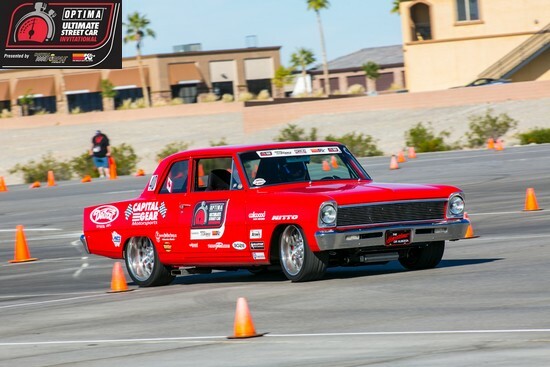 That background combined with extensive autocrossing experience made Mathews an immediate contender when he first started competing in the OUSCI. He backed up his resume during the 2014 Ultimate Street Car Association series, competing in all seven events east of the Rocky Mountains, finishing the season in fifth place overall in the GT3K standings in the Detroit Speed 2012 Chevy Camaro. Heading into Las Vegas, Ryan's name was on a short list of contenders poised to compete for the overall win. Having gone through so many USCA and OUSCI events in the past, Mathews knew what was expected of the Camaro on the Detroit Speed Road Rally and it didn't disappoint, scoring all 25 of the available points. In the Lingenfelter Performance Design Engineering Challenge, the Camaro finished in a four-way tie for 52nd place. The track portion of the events are where both Mathews and the Camaro really shine. On the Wilwood Speed Stop Challenge, Mathews' Camaro was one of a quartet of vehicles that posted 15.1xx times, with Ryan edging out Ronnie Soliman's 2006 Mitsubishi Evo for 23rd place by the absolute slimmest of margins- .001 seconds. 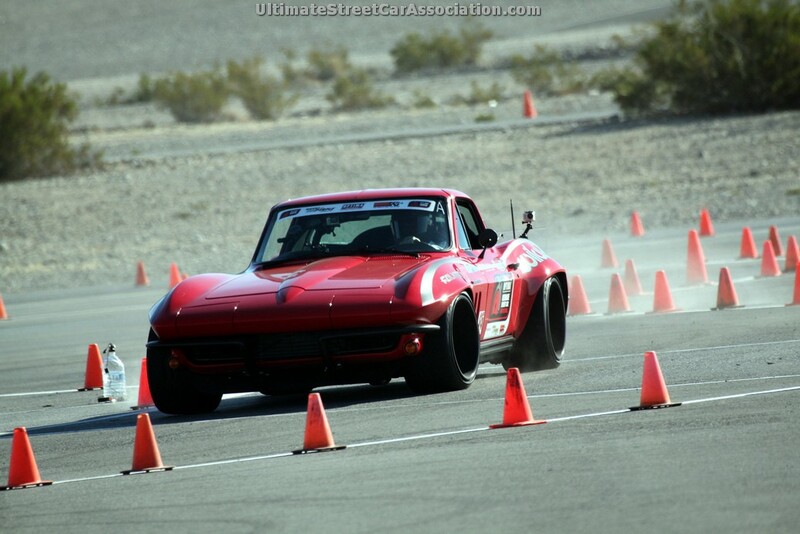 Things went even better on the RideTech Street Challenge Autocross, where Mathews posted a 15th-place finish. However, this time, the gap between Ryan's Camaro and Ron Adee's Nissan GT-R was just .002 seconds and favored Adee for 14th place. The BFGoodrich Hot Lap Challenge was primed to be Mathews' best event and when the checkered flag dropped, only 2014 OUSCI Champion, Danny Popp, was able to post a faster time. Final results showed Ryan's Camaro placing fifth place overall, in an incredibly tight finish, with fellow fifth gen competitor, Bryan Johnson edging him out for fourth place by just 1.247 points and Mathews topping 2013 OUSCI Champion, Brian Hobaugh's Corvette, by just .057 points! For an event that many thought could be dominated in 2014 by boosted, all-wheel drive competitors, Ryan's Camaro was one of four bowties to finish in the top-six and one of five Chevys in the top-ten overall. "I actually did a little better than I thought," admitted Mathews. "Although the engine had to be re-turned for the altitude, which I didn't expect." Ryan estimated that last-minute modification cost his 650-horsepower LS7 between 50 to 75 ponies in the first session of the BFGoodrich Hot Lap Challenge. If he had the opportunity to do things over again, he would've checked his engine tune earlier. Even though Mathews is becoming an OUSCI regular, the event continues to surprise him. "The field was very interesting and competitive this year and the Speed Stop format was a lot different," says Ryan. "But I liked it way better than any other Speed Stop we did this year." Fellow Camaro driver, Bryan Johnson impressed Ryan the most, even though he knows both car and driver very well. "I've run with him a lot before and he always impresses me with how much he gets out of his car in each competitive event," says Mathews. We can't help but wonder if Johnson leaned on Mathews for advice coming into the event. If so, his words probably echoed what he told us regarding advice for future competitors, "Bring a good all-aroud car, that is as reliable as you can make it and run other USCA events throughout the year, so you can be better-prepared, both with the car and as a driver." If you'd like to take Ryan's advice, head over to the Ultimate Street Car Association 2015 Schedule and start planning now. Registration opens January 19th.